Supermarkets have changed the way people buy their daily essentials. With POS technology making foray into retail business addressing several “pain-points” of customers, shopping has now become a joyful experience. Customers no longer have to spend long hours in the queue to pay bills or collect their merchandise, no need to take home the scribbled piece of paper having list of unclear items, can able to reach retailers through multiple windows, but can have convenient payment options, enjoy loyalty benefits and get their order delivered to their home instantly. Supermarkets in India are growing at rapid pace as they provide best customer experience using the Electronic Point of Sale (also referred as EPoS system). The advanced version of cash register can be used to track real time sales information, manage inventory, generate several sales related reports and also handle customer loyalty programs efficiently and automatically. In nutshell, these electronic POS systems are next generation computerized cash registers that can perform myriad of functions and automate several mundane retail business activities rather than just handling payments at check-outs. POS is the place customers pay for the goods. In other words, these billing counters are referred as check-outs where customers need to pass through a electronic billing machine. EPOS can make customer transactions faster, safer and in flexible modes – cash, card, mobile, online, wallet, coupons or loyalty points, while also ensuring excellent service. These days, customers expect faster check-outs as long queues irritate them a nd discourage them to come back. Checkout productivity can be higher in EPoS system compared to traditional cash registers or manual checkout systems where more customers can be handled quickly. Every product available in the store can be stored in the EPoS system, which is a computer-based device having a POS terminal, electronic cash drawer, 2D/3D barcode scanner, payment terminal or card reader and a monitor. All these hardware devices are interconnected (integrated) by suitable retail POS software. When a store assistant scans the products’ barcodes, it automatically reads the items’ price and product information and sends it to the central POS system which adds the product in a suitable billing format. Once all the products are scanned, the computer automatically counts the final bill amount and provides final invoice/bill. Every time a product is scanned at checkout, the POS system automatically reduces its count from the available inventory. This is faster than manually keying the price into a cash register. All EPOS systems can be integrated with a barcode scanner for better data handling, which reduces the chance of human errors, data pilferages, duplication and data entry mistakes. Electronic Point of Sale systems help retailers to have a good control over stock availability in their warehouses and alert them when to buy what stocks. When a sales executive enters the transaction details in the EPoS terminal, this information is forwarded automatically to inventory management section for possible replacement of stock. Once a particular stock reaches certain level, the POS system automatically generates purchase alert to the store owner who in turn places order to replenish the stock. Electronic point-of-sale systems are very useful to generate reports and analysis with regard to sales, customers’ preferences, lean and busy business time of the day, month and year, most sought-after stocks, expiry date of stocks, customer relation management, customer footfalls, loyalty and promotion activities and employee management. 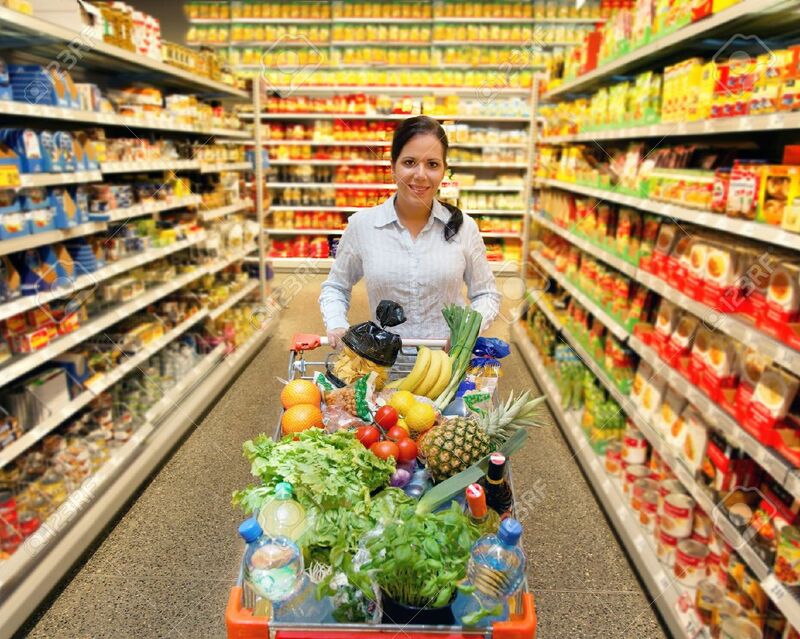 So, when you visit a supermarket next time, be prepared to be pampered by the electronic POS systems with loads of goodies coupled with excellent services to make your shopping experience remarkable and memorable.